March has been a busy month at Bronx Community Health Network, including a trip to Albany for Advocacy Day on March 6. BCHN joined the Community Health Care Association of NYS (CHCANYS) and 900 community health care supporters in Albany to let lawmakers and the Cuomo administration know that New York's health care safety net is at risk. It was the largest turnout in the event's history. BCHN brought a team of Board members, staff and patients to meet with elected officials that represent the Bronx, including Assemblymember Michael Blake (pictured below), who also recently became Vice-Chair of the Democratic National Committee. He shared his thoughts on Twitter the next day. 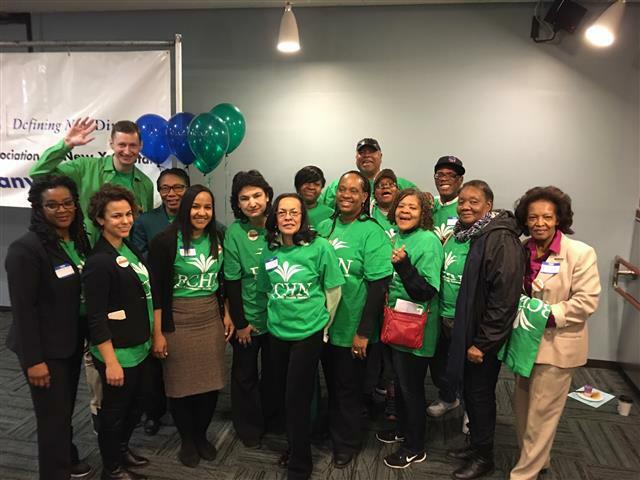 "Health Advocacy Day on Monday provided that recharge of PURPOSE when @BCHNHealth & @Urbanhealthplan came to visit us #BuildingABetterBronx," Assemblymember Blake tweeted. 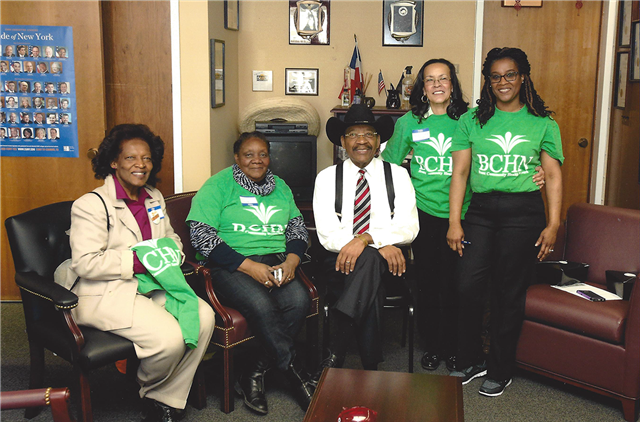 BCHN also met with Senator Ruben Diaz Sr. (pictured below), Senator Gustavo Rivera, Senator Jamaal Bailey, Senator Jose Rivera, Assembly Speaker Carl Heastie, Assemblymember Luis R. Sepúlveda, Assemblymember Victor M. Pichardo, Assemblymember Jeffrey Dinowitz, and Assemblymember Latoya Joyner. 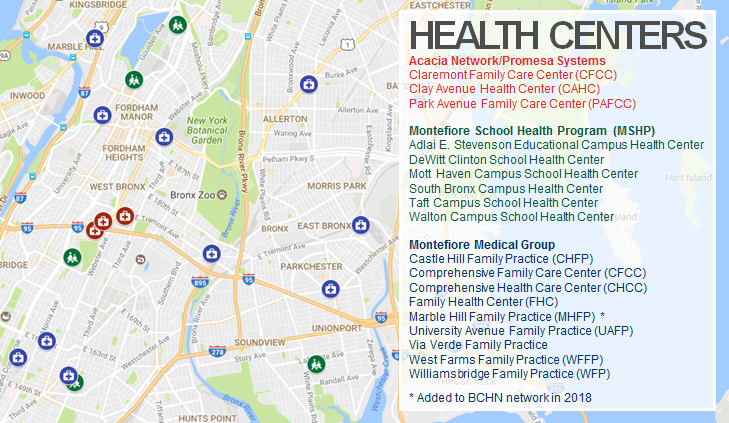 Over the past three years, the BCHN-led Bronx REACH Champs (BRC) initiative, and coalition member Montefiore School Health Program (MSHP), partnered to integrate non-traditional programs (i.e., yoga, tennis, badminton) into K-12 schools to help increase youth access to physical activity during PE class and afterschool programs. Complementary programs have been now added at 25 Bronx schools, including Recycle-A-Bicycle (RAB), which utilizes the bicycle as a resource to foster youth development, environmental education, community engagement, and healthy living. 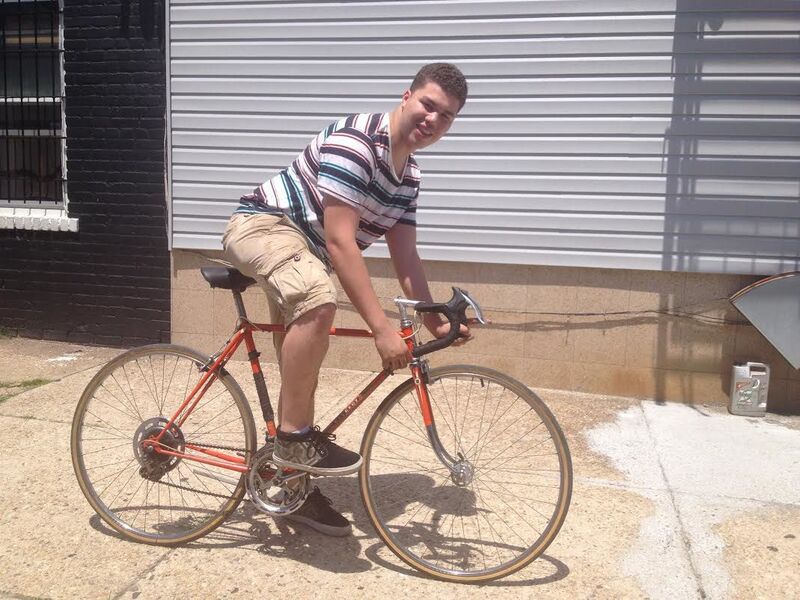 Josue Nunez was a student at Celia Cruz Bronx High School of Music when he earned his first bike (pictured above) through the RAB program. Now a student at CUNY, he works for Recycle-A-Bicycle as a bike mechanic, and gives back to the community by instructing students at the Evander Childs and DeWitt Clinton campuses. In the video below, Mr. Nunez shares his story, and explains how the program changed his life. Norwood News and WFUV are currently partnering on a five-part series profiling ongoing challenges impacting the Bronx. Part 4 appears in the March 30-April 12 issue of Norwood News, and focuses on health literacy, a cornerstone of BCHN's mission during the organization's 21-year history. 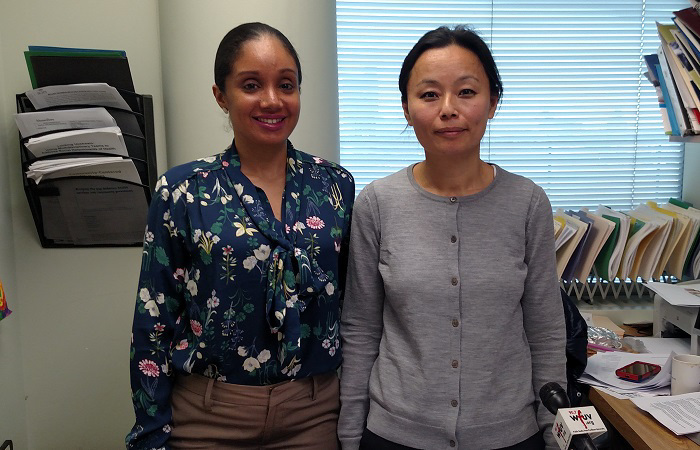 BCHN director of programs Tashi Chodon, along with grants and program developer Damiris Perez Agu, offered expertise on the health literacy issues facing local residents. "People with low health literacy are prone to more emergency visits, which could be improved with community health literacy education and providing them with primary care services," Ms. Perez Agu told WFUV's Shannon Meehan. 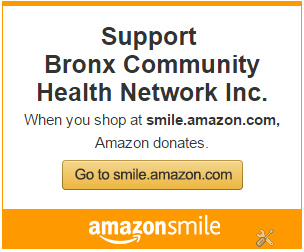 "There is a huge disparity in the Bronx in terms of the prevalence of chronic diseases," added Ms. Chodon. "Unhealthy behaviors contribute to these conditions so it makes health literacy in our community so important." Check out the entire article on page 9 here. NYC Mayor and First Lady Launch HealingNYC to Combat Opioid Epidemic On March 13, NYC Mayor Bill de Blasio and First Lady Chirlane McCray launched HealingNYC, a new, comprehensive effort to reduce opioid overdose deaths by 35 percent over the next 5 years. Through HealingNYC, the City will invest $38 million annually to combat the epidemic. Council Member Vanessa L. Gibson said: “As we continue to address the challenges that New Yorkers face with opioid addictions and overdoses, it is necessary to develop a comprehensive and targeted plan to stop this epidemic in its tracks." 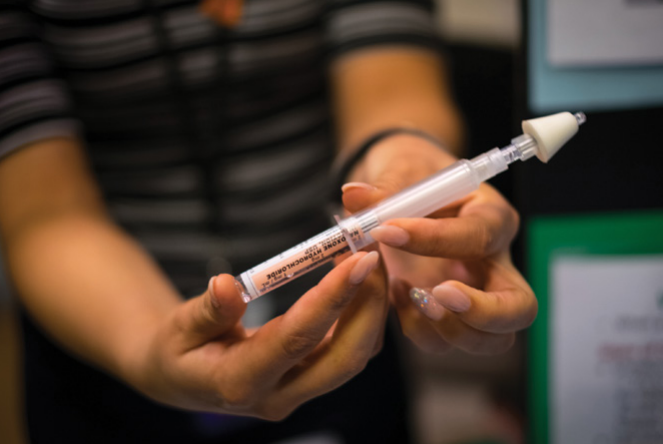 “It’s very meaningful to me to see Mayor de Blasio launch this important new initiative right here in the South Bronx, where as a community we have been working diligently to find solutions to the opiate crisis afflicting our families,” said Council Member Rafael Salamanca, Jr.
A 36-page report released with the announcement includes pictures from a recent Naloxone workshop conducted by BCHN community health worker, Yaritza Holguin. The photos were taken by Edwin Torres from the Mayor's Office of Photography. Check out the complete report here. 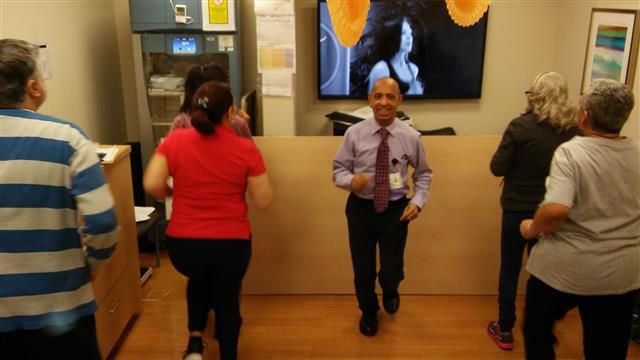 A walking group led by BCHN community health worker Pedro Gonzalez has kicked off its third season at Montefiore's University Avenue Family Practice, a member of the Bronx Community Health Network. Due to the cool spring temperatures, the enthusiastic group of walkers recently had to spend their weekly time exercising indoors. But they will soon be continuing their walks to Devoe Park in the great outdoors. 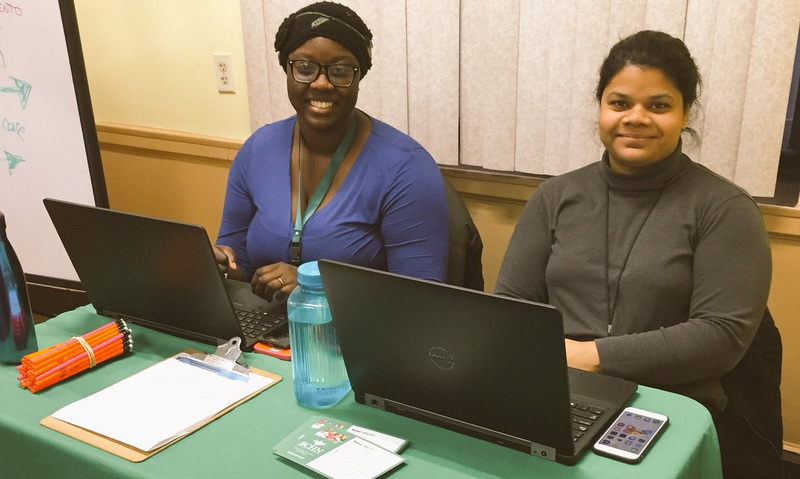 BCHN community health workers Ndeye NGom-Mbacke and Rhea Chandler participated in an outreach event at University Neighborhood Housing Program (UNHP) on March 22, where they educated the community on health insurance basics, and the various options that are available to them. 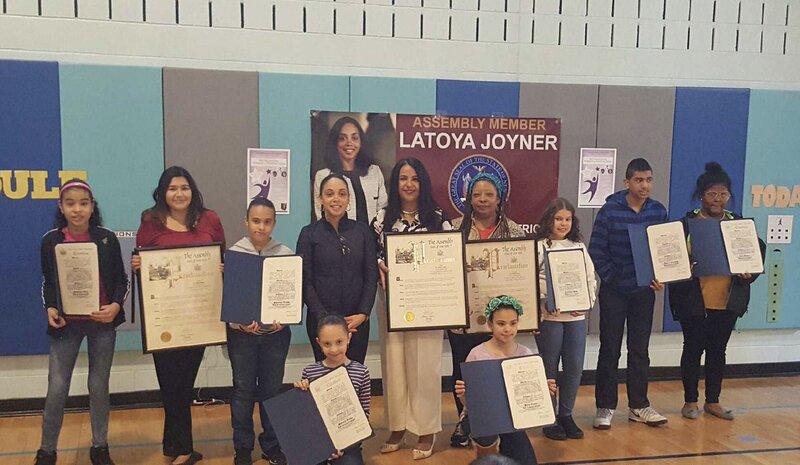 BCHN was one of the sponsors of Assembly Member Latoya Joyner's annual Women's History Month Wellness Celebration on March 25. BCHN patient navigators shared health information with attendees. Kathryn Davis, who led a meditation group during the event, was surprised with a proclamation from Assembly Member Joyner. Ms. Davis was recognized for the impact she is making on Bronx residents with her popular classes on meditation, movement and relaxation, including her work with the Bronx REACH CHAMPS initiative. Join/Support the BCHN CICERO AIDS Walk New York Team! 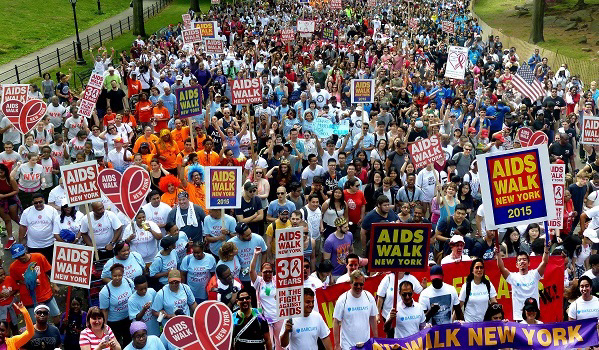 A team from BCHN and the Engage-NYC/CICERO program will be participating in AIDS Walk New York on May 21. You can join the team for the walk, or support the team with a donation here. BCHN community health worker Jessica Castro has recently been integrated into the patient care team at Montefiore's Comprehensive Family Care Center (CFCC). At the Montefiore Medical Group Quarterly Transformation Collaborative meeting on March 31, she shared with attendees her perspective as a community health worker focused on addressing the social determinants of health for patients. CFCC piloted and then launched a new social determinants of health screening tool and work flow, in which Ms. Castro's role is a critical to connecting patients to clinical and community resources. We continue to receive positive feedback from patients at the health centers in the Bronx Community Health Network who are being helped by our growing team of community health workers. Emily Caraballo recently shared a rewarding story from her experience with a patient at Montefiore's Comprehensive Health Care Center (CHCC). Read it below. About 2-3 months ago, I met a patient who was experiencing a great deal of adversity. She had just given birth to her first child, and was in need of food, housing and more. Initially, she was resistant to any help, but after small interactions when we would see one another at CHCC, or even in the corner bodega, she walked in one day and asked for help. I referred her to Catholic Guardian for the parenting classes, crib, diapers and clothing; Davidson Community Center for housing; and gave her a flyer for a Home Health Aide (HHA) training class on the Concourse. After a few unsuccessful follow-up calls, she came in to visit me this morning to share her excitement about completing the parenting classes. As a result, she has been able to participate in various activities and services they offer, including monthly baby showers where they provide each family with cool and different baby gear, free daycare services, and parent support groups. Upon completion of her physical, she will be attending HHA classes. After a 30-day probation period, she will receive job placement with health, transportation and childcare benefits. While attempting to return to school, she was offered a paid internship as mentor to students at her former high school. Although she is still searching for permanent housing, her disposition was brighter than ever and it brought me such an overwhelming sense of joy. at I had to share with you all. 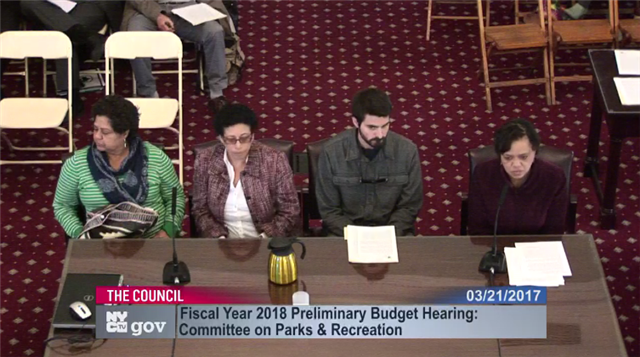 On March 21, BCHN community engagement/policy analyst Paulette Spencer joined New Yorkers for Parks, Partnerships for Parks, Friends of Van Cortlandt Park, and New York City Community Gardening Coalition in testifying before the New York City Council Committee on Parks and Recreation. These and other local organizations advocated for parks funding during the Fiscal Year 2018 preliminary budget hearing. Watch Ms. Spencer's remarks below. March is National Nutrition Month, when the Academy of Nutrition and Dietetics reminds everyone to return to the basics of healthy eating. The theme for 2017 is "Put Your Best Fork Forward", which acts as a reminder that each bite counts. Making just small shifts in our food choices, can add up over time. The 2015-2020 Dietary Guidelines for Americans suggest starting with small changes in order to make healthier lasting changes you can enjoy. 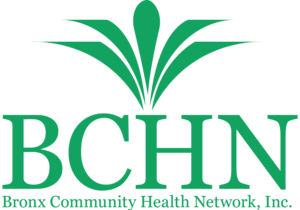 BCHN's Nutrition Month programming has included healthy eating demonstrations, social media tips, and a diabetes workshop at Bay Eden Senior Center. The Academy of Nutrition and Dietetics offers a number of healthy recipes on their website, including the one below. Combine lemon rind and remaining ingredients in a small bowl, stirring with a whisk. 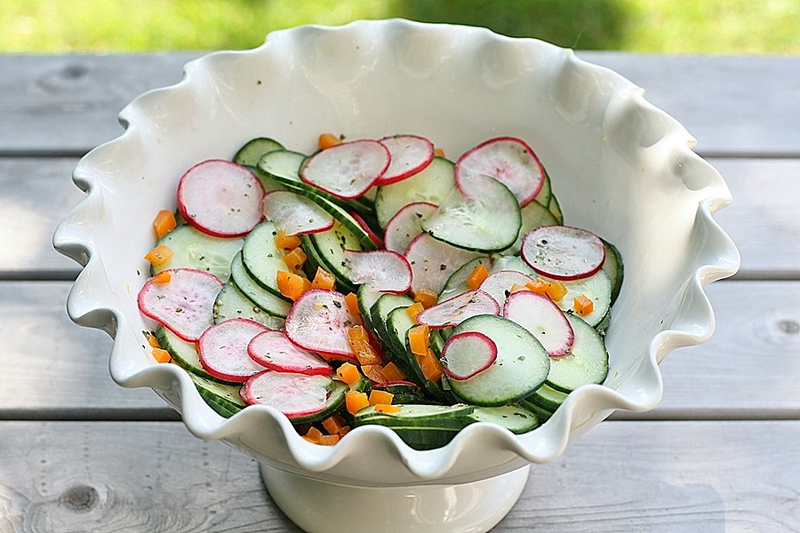 Pour over cucumber mixture; toss well to coat. Serve at room temperature or chilled. 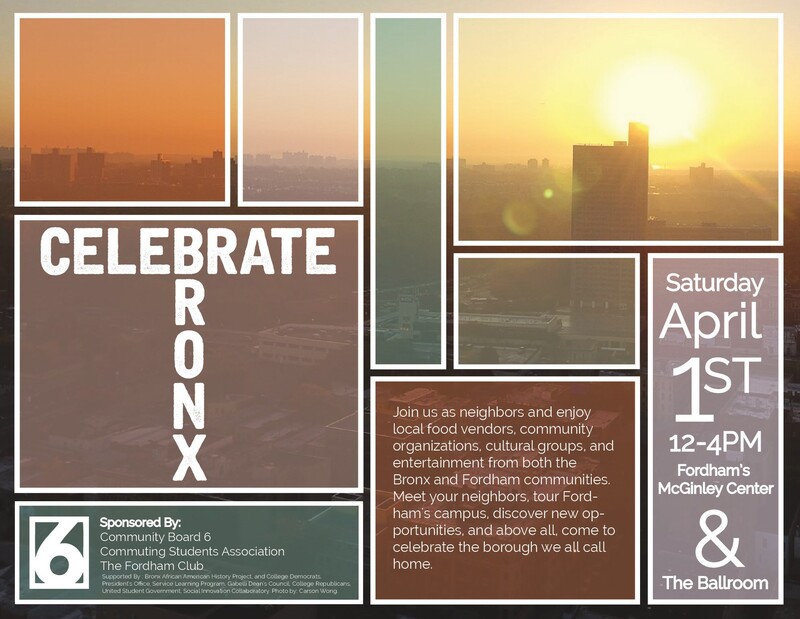 Bronx Community Board 6 has been working with Fordham University to host a joint event on April 1st from 12:00 PM-4:00 PM at the McGinley Center showing the resources in the community and University. The University will be leading campus tours as well as having food vendors, music, activities for young children, and performances. 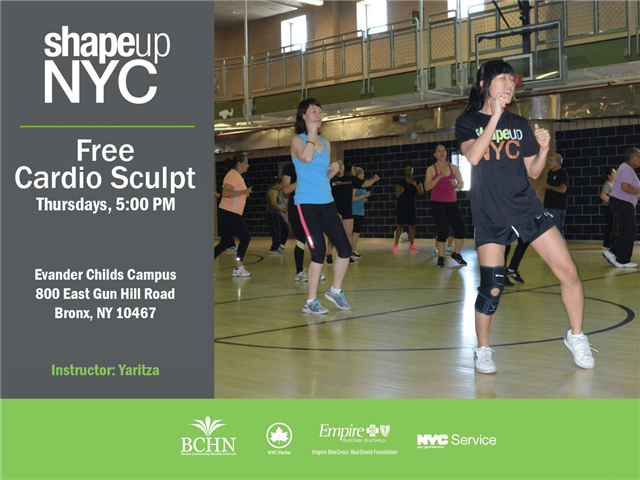 BCHN community health worker Yaritza Holguin recently became a certified Shape Up NYC instructor, and is teaching a FREE Cardio Sculpt class at Evander Childs Educational Campus on Thursdays at 5:00 PM. 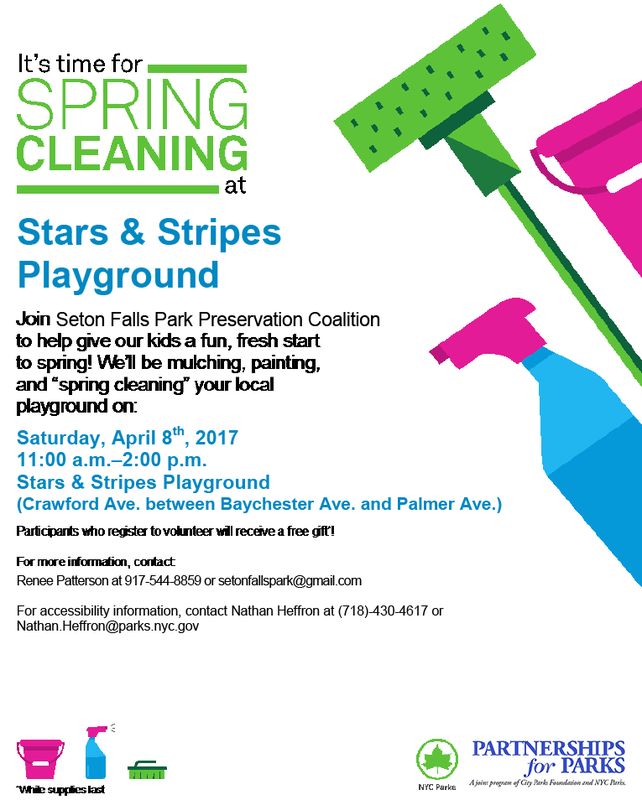 Join Seton Falls Park Preservation Coalition to help give kids a fun, fresh start to spring! 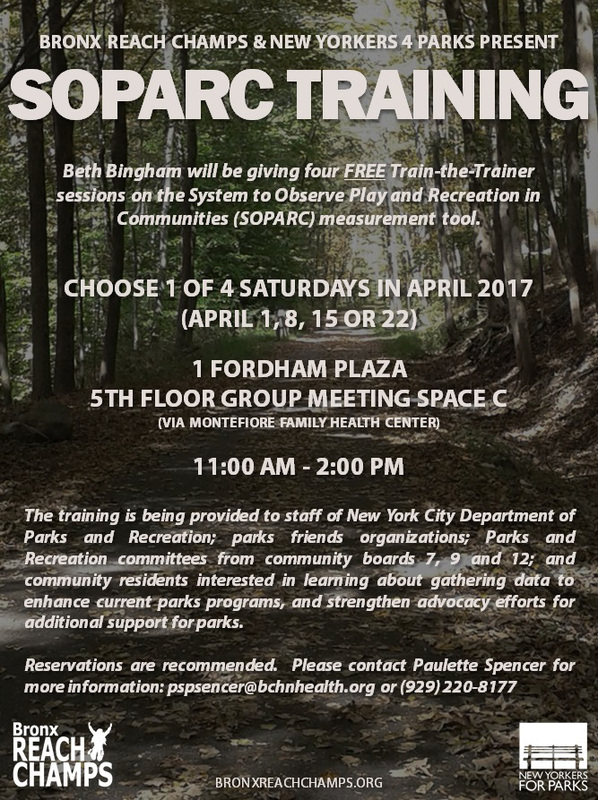 Bronx REACH CHAMPS is hosting a FREE workshop series on how to use the System to Observe Play and Recreation in Communities (SOPARC) measurement tool, led by New Yorkers for Parks' Beth Bingham. SOPARC is survey-based research method used to manually capture data on how many people are visiting a park or open space, the nature of their activities, and their location in the park. The intention is to have organizations use this data, along with local community health-based indicators, to increase public support for enhancing access to Bronx parks. Attached is the announcement flyer. The SOPARC training sessions will be conducted as four stand-alone workshops. Participants only need to attend one of the four sessions for training. The workshops are being offered on Saturdays, April 1, 8, 15 and 22 from 11:00 AM to 2:00 PM at 1 Fordham Plaza, in the 5th floor Meeting Space C, via the Montefiore Family Health Clinic. You can register for the Saturday you wish to attend on Eventbrite.